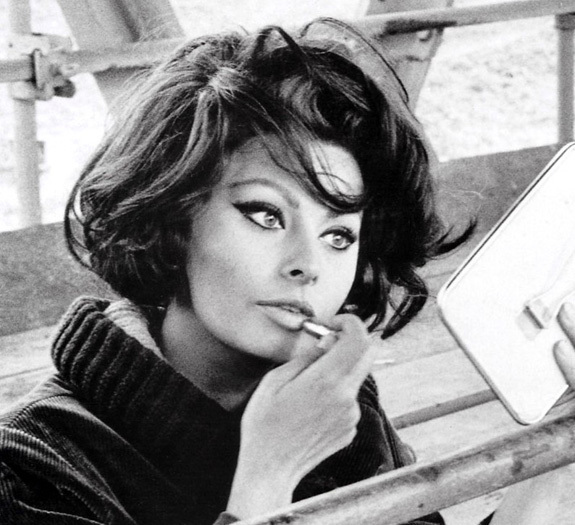 76-year-old Sophia Loren is still at it, traversing the world and setting new standards in the art of glamour. The Italian actress and Academy Award winner was the subject of a recent Academy of Motion Picture Arts and Sciences gala, and she far from disappointed, arriving with sun kissed skin and a wardrobe that was a unique mix of age appropriate and just enough cleavage. At the event she was flanked by her two sons, Carlo and Eduardo Ponti, children she had with her recently deceased husband, producer Carlo Ponti who had discovered her in the early 1950s. Loren is the beneficiary of two Oscars of which the event was subject, she received her first in 1961 for the film Two Women, she is the first and only one of two actresses to win for work in a non English speaking film, her second award came in 1991, a Lifetime Achievement Award for a body of work that now surpasses eighty films under her belt. Speakers at the event included Tom Hanks, John Travolta, Christian De Sica, whose father Vittorio De Sica was Loren’s director more than a few times, Rob Marshall, her director for the film Nine, a unique singing tribute from Italian actor/director Roberto Benigni as well as hosting honors provided by comic Billy Crystal. MTV's Judy McGrath steps down! FashionBytes: Anna Dello Russo's music video!